The Signature Facial targets a variety of skin concerns. 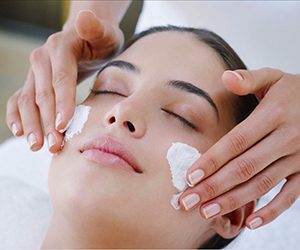 Hydration, eradicating uneven pigmentation, controlling acne and revitalizing dull skin are all addressed with this comprehensive facial. Alvarado Skin Experts will customize your experience to provide the results your skin needs. Skincare maintenance at its best. Experience gentle cleansing, steam, mild exfoliation, extractions and masque. Flush out impurities, increase circulation and decongest for a well balanced skin. Refresh your skin with the healing properties of pumpkin. This no downtime treatment exfoliates surface skin cells, provides antioxidant support, and stimulates collagen activity. It will leave the skin healthier and brighter with glowing results. Exfoliate surface dead skin build up, minimize oil, extract impurities and experience a clearer, brighter complexion. Ideal for Teens and Acne Prone skin types. May be done weekly if needed.